Walkthrough: After helping Molayne feed the Charjabug on Mount Hokulani, you will earn access to the Hokulani Observatory so you can take on your fifth Trial. This next Trial has been setup by Captain Sophocles, and it has you completing puzzles using the Charjabug in order to line them up on a platform to charge the Ping Totem. As you use the switches on the platform to properly line up the Charjabug, you will increase the power of the Ping Totem in hopes of summoning the Totem Pokemon. However, you will have to battle a Level 29 Elekid and Level 30 Electabuzz after the first and second puzzles, respectively, as the Ping Totem will not have enough power to summon the Totem Pokemon. After completing the third and final Charjabug Puzzle, the Ping Totem will begin to overload. 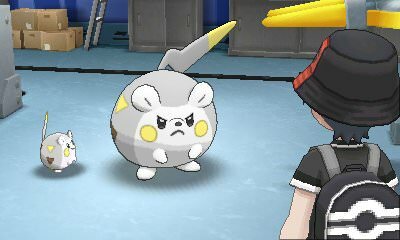 Sophocles' Togedemaru will jump in to try to absorb the electricity, but it isn't strong enough to hold it. Before too long, the Totem Pokemon, Togedemaru, will jump in and absorb the electricity. After it does, you will go into battle with it. It will be at Level 33, having its Defense boosted as the battle begins. It will also call upon Skarmory (Level 32) and Dedenne (Level 31) for help. After defeating the Totem Pokemon and all of its allies, you will complete the Trial and earn Electirium Z. Molayne will also give you a certain wrestling mask to give to Professor Kukui, who happens to be back in Malie Garden.